There are a group of Elite: Dangerous players who do not care for shooting other ships, mining for materials or trading precious resources. This group focuses on a more scientific pursuit: hunting aliens. Aliens that aren’t even in the game yet. Aliens have so far failed to turn up in Frontier’s space game, but clues as to their inevitable arrival have been drip fed into the universe over the last 18 months. 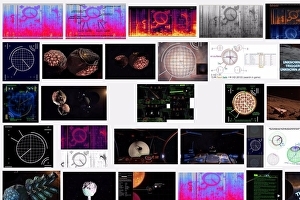 And for the last 18 months the Canonn, one of the largest, most dedicated groups of Elite: Dangerous players there is, has sought to unravel the mysteries of its virtual universe.